Google Search Console has been the resource Webmasters and SEOs use to track website performance. 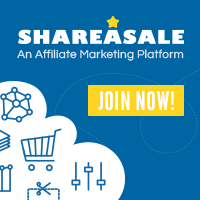 As an affiliate marketer you know the key to having people find your content while searching on the internet, and to subsequently buy the products you are marketing are the keywords you select for title of your content, and the various keywords and keyword phrases you choose. But how do you find the data and right buyer keywords and other keywords that help people find your content as they search the internet on their computer, tablets or smartphones. Since a majority of the traffic to websites is driven by Google, Google Search Console has done a masterful job of capturing every conceivable keyword or keyword phrase for just about every topic under the sun, and how often that exact keyword or related keyword phrase was keyed in. The Google Keyword Planner was the go-to keyword tool for marketers to find keywords with sufficient search results and competitiveness to use for article titles, keyword phrases and anchor text, to drive traffic to their site. Knowing the keyword competitiveness rank (high, medium or low) is critical to know if you can rank for the desired keyword in the search engines, or if it is better to find a related keyword or keyword phrase with a lower competition score, and that still has at least 2,000 monthly searches per month. If you are looking for long tail keyword phrases that contain your target keyword, this is best keyword tool to use. This technology allowed the Google search console to determine the number of monthly searches for every conceivable iteration of the exact match keywords, and keyword phrases, to help you select the right keywords for your campaign. For website owners that use Google Webmaster Tools, there is a new keyword search tool called Google Search Console Beta, that you can access through your Webmaster Tools portal. And the best part? It’s absolutely free. If you don’t have a Google Webmaster account, then you need to go get one now, to use Google Search console. You must have your websites and blogs verified in Webmaster Tools to use the resources. Google says verification associates a specific user, which is You, with a specific property, meaning a blog or website. Every property linked in Google Search Console requires at least one verified owner, though it can have more. The verification process tells Google you are the owner of the web property.The website verification process is simple, using one of three validation methods to verify your ownership of the site, including how to add a snippet of code to the header section, that allows Google to quickly verify your site. 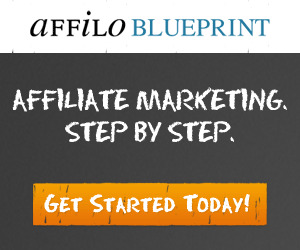 This is the quickest and easiest way to get your site verified. 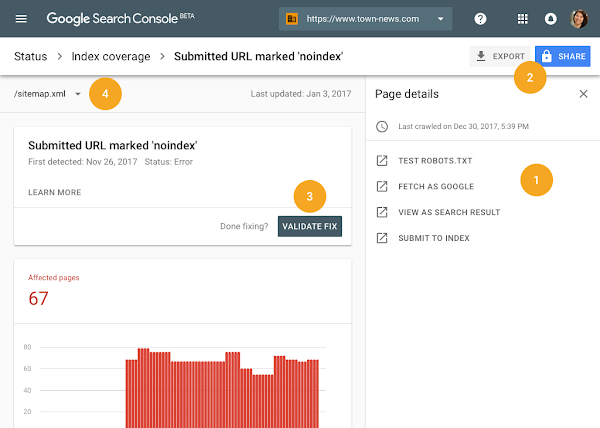 Google Search Console Beta is stripped down version of Google Search Console, and contains the most popular functionality for webmasters – The functionality will include Search performance, Index Coverage, AMP status, and Job posting reports. The good news is that with just a key stroke, you can toggle between Google Search Console Beta and the original Google Search Console, which offers more information on your website performance. Note: that you could add any site or app as a property to Search Console, but until you verify ownership of it (or an owner grants you rights on it) you can’t use it in Search Console. What is the New Google Search Console Beta? 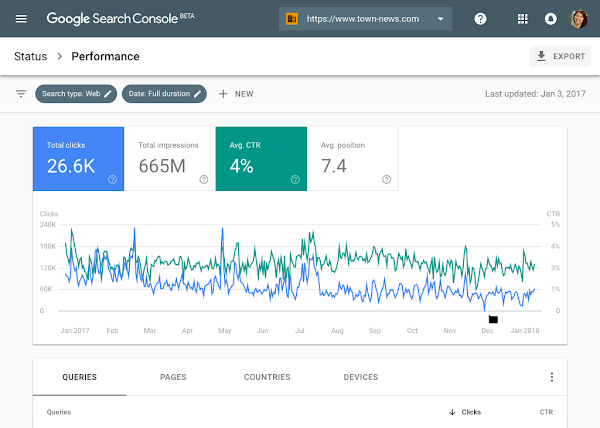 The new Google Search Console strips away the search data from Google Analytics, and provides the critical website performance data webmasters need to track, including daily clicks, impressions, average CTR (click through rate) and position without having to pull it from Google Analytics. You get visual snapshot and a graphical representation covering the last 12 months. reasons why Google isn’t indexing some URLs. The report uses new Issue tracking functionality that alerts you when new issues are detected and helps you monitor their fix. Do You Prefer the Old Search Console? If you need more in depth website performance data, you can quickly toggle between the old Search Console and the New Search Console. How are People Finding Your Sites? More important is what keywords are people using that lands them on your website, blog or specific pages and articles. Google Search Console gives you a list of search queries people are using, the number of clicks and impressions. With this valuable snippet of data, you can add the most searched keywords to your content in the Title Tag or as keywords in your content. This may improve your content ranking, and ultimately improve the income you derive from your web properties.